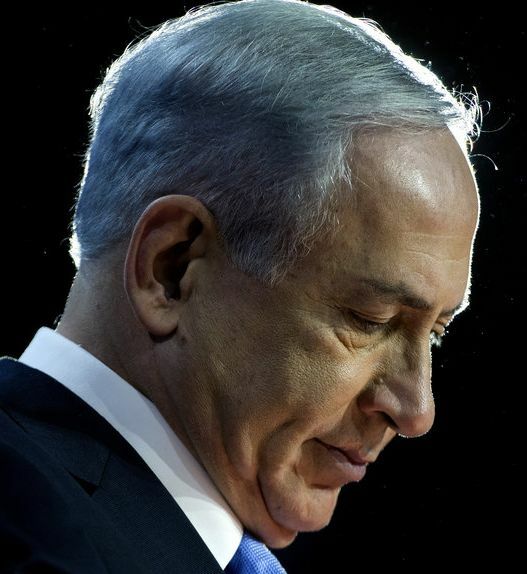 Prime Minister Binyamin Netanyahu only waited for the March 17 election results before sending his close adviser Nathan Eshel to Zionist Union leader Yitzhak Herzog with an invitation to join him in a new unity government headed by the two largest parties of which they are leaders. Herzog turned him down and preferred to remain leader of the oppoisiton. The invitation was proffered notwithstanding Netanyahu’s campaign vow not to share power with the left-leading Zionist Union, and showed him to be pragmatic enough to duck and weave when he finds it opportune. He displayed the same equivocation on the Palestinian state issue. While running for election, he declared that a Palestinian state would not rise on his watch. But then, when Washington turned on the heat, he explained that his fundamental support for two states had not changes but the circumstances had. In other words, the prime minister left the door ajar. In reality, as debkafile has reported before, even if Netanyahu was in total accord with Obama on a Palestinian state and Israel’s future boundaries, this would not change the fundamental fact that Palestinian Authority chairman Mahmoud Abbas has resolutely turned his back on peace diplomacy in the American format. In recent conversations with a number of Arab leaders, Abbas made it clear that, like them, he had washed his hands of President Barack Obama and his policies. If negotiations with Israel were ever to resume, he would prefer direct dialogue with Netanyahu rather than going back to the old track brokered by Secretary of State John Kerry. According to debkafile’s sources, in the run-up to the Israeli election, Abbas sent out feelers to Netanyahu for a secret meeting. Netanyahu refused. Any new peace bid therefore would most likely originate in Cairo with President Abdel-Fatteh El-Sisi, rather than Obama and Kerry. For now, until Wednesday, when President Reuven Rivlin formally grants Netanyahu four weeks’ grace to form his fourth government, the prime minister has begun penciling in key cabinet portfolios. This time round, his Likud has the unprecedented advantage of numbers, having won 30 Knesset seats compared with 18 in the last house, and came out of the election way ahead of the smaller partners. Still, in the back-door negotiations already in progress, the competition for ministerial posts is already hot and the horse trading tough. Defense Minister stays in the hands of Moshe Ya’alon (Likud); Finance most likely goes to Moshe Kahlon (former Likud minister who broke away to create a new party Kulanu which ran on the social ticket), Education – Gilad Erdan (Likud). Yoav Gallant, general (ret) and former candidate for chief of staff, is tabbed for Internal Security (including the Police). He is a new face in government who entered politics this year on the Kulanu list. Yisrael Katz (Likud), the highly successful Transport Minister and ardent Netanyahu loyalist, is likely to be promoted to Housing and Construction, a department which is hugely influential on the economy and the shape of settlement in Judea and Samaria. Katz is keen on the post and Netanyahu wants him there, but he may relent at the last minute and let it go to Naftali Bennett (Habayit Hayehudi) – depending on how the negotiations go. Another of the key portfolios that Likud will keep is Media Communications, with Ofir Akunis topping the list of candidates. The prime minister is planning major reforms in the television industry to complement the overhaul begun last year in the Public Broadcasting Authority. He proposes shutting down the privately-owned Channel 10, which is kept out of bankruptcy only by repeated injections of government funding. To prevent Channel 2 from becoming a monopoly, the plan is to split it into two separate channels. The Interior Ministry has been provisionally assigned to the Shas leader Aryeh Deri and Health is to revert to Yakov Litzman (United Torah). Subsidiary ministerial posts will no doubt be awarded to at least one female Knesset Member, Miri Regev of Likud and/or Ayelet Shaked of Habayit Hayehudi. Alongside cabinet-building, the prime minister has also contacted certain business leaders, some of whom served in former governments, to offer them jobs as directors general or department heads in the ministries assigned to non-Likud politicians – like, for instance, head of the budget department in the Treasury. Netanyahu seeks to plant guardians of his policies in those departments. But he might find this plan a hurdle in his negotiations with party leaders, who may refuse to work with officials acting as Netanyahu’s eyes and ears. The party leaders will most probably take the opportunity of the Feast of Passover, April 3-10, for time out and return to intense bargaining for a new government after the break.